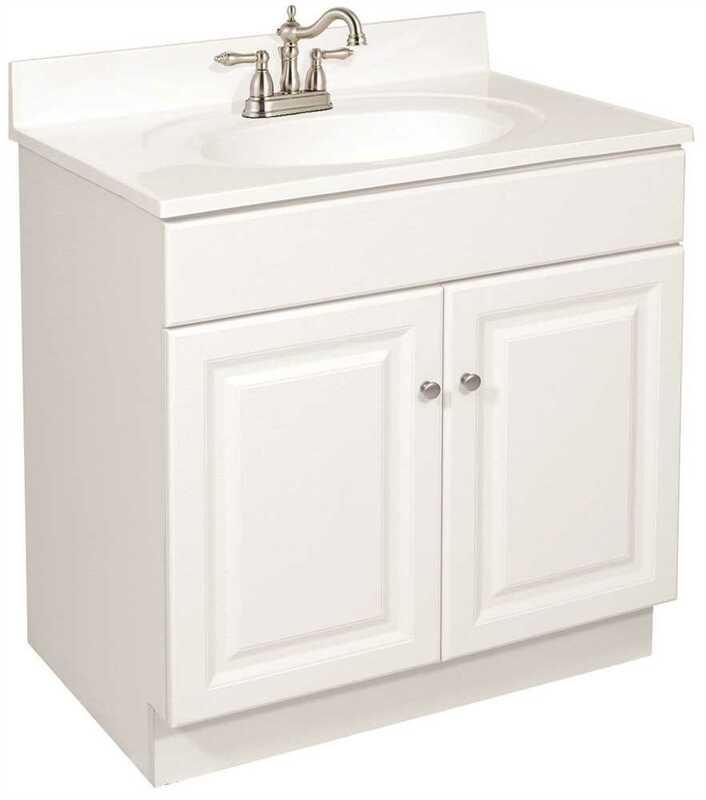 (Open Box)RSI Home Products Richmond Bathroom Vanity Cabinet With Top, Fully Assembled, 2 Door, White, 24X31X18" (Open Box)RSI Home Products Richmond Bathroom Vanity Cabinet With Top, Fully Assembled, 2 Door, White, 24X31X18"
Water Creation's collection of premier single sink bathroom vanities will add a level of sophistication and class to any bathroom's decor. 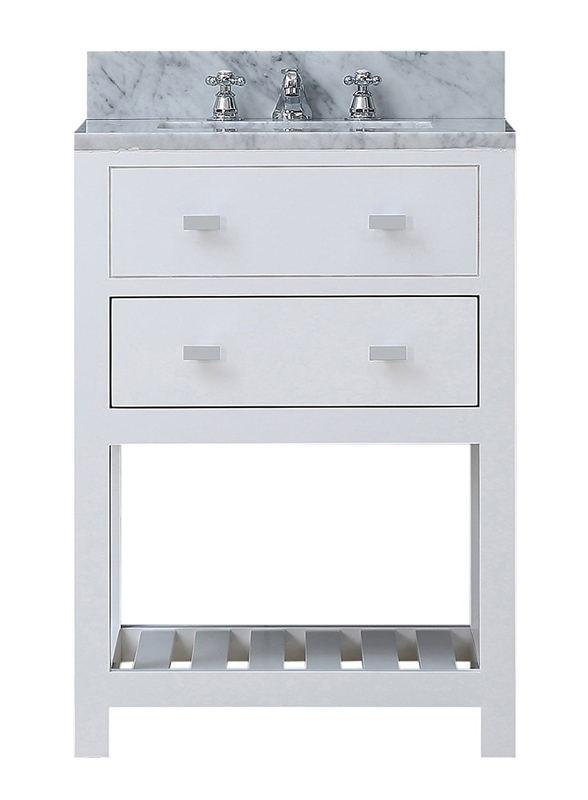 The crossroads of timeless design and innovative modern manufacturing processes merge harmoniously to ensure each vanity's finishes and function are as reliable as their unmistakable beauty. 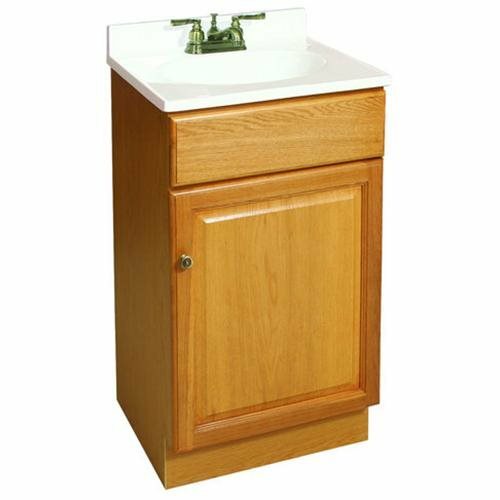 Constructed of 100% hardwood and not particle board, Water Creation prides itself on creating high-class vanities that are designed to last a lifetime. 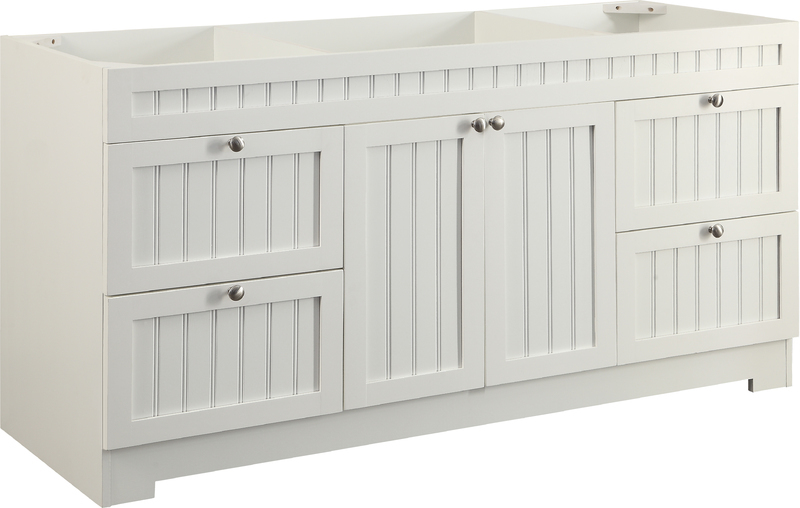 The marble countertop, ceramic sink, and elegantly crafted doors all lend credence to the durability and superior craftsmanship that Water Creation is known for. 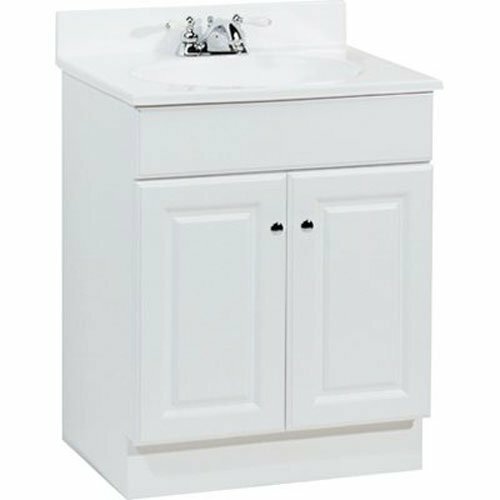 With the understanding that no one space is alike, all of Water Creation's vanity designs come in multiple lengths to accommodate any room size. Countertop: All of Water Creation's vanities come with solid natural stone countertops that have been sealed at the factory to prevent staining and watermarks. Countertops are pre-drilled for a standard 8" widespread 3 hole lavatory faucet. Backsplash is included. Assembly of the backsplash to the vanity is required . Water Creation's collection of premier double sink bathroom vanities will add a level of sophistication and class to any bathroom's decor. 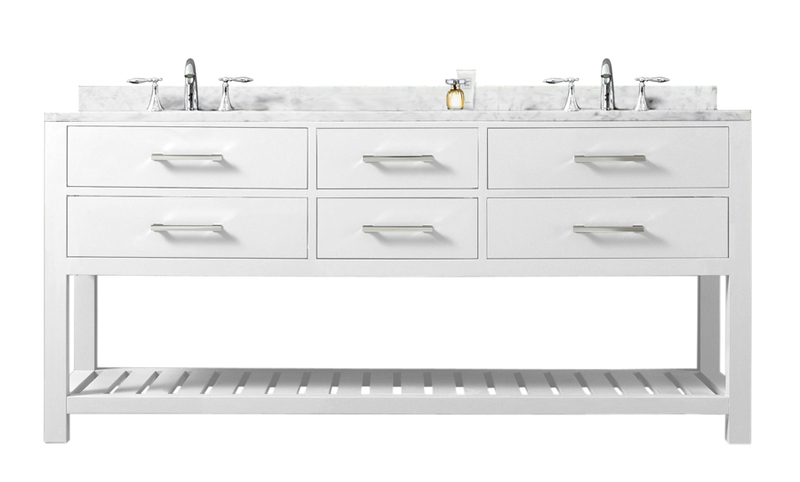 The crossroads of timeless design and innovative modern manufacturing processes merge harmoniously to ensure each vanity's finishes and function are as reliable as their unmistakable beauty. 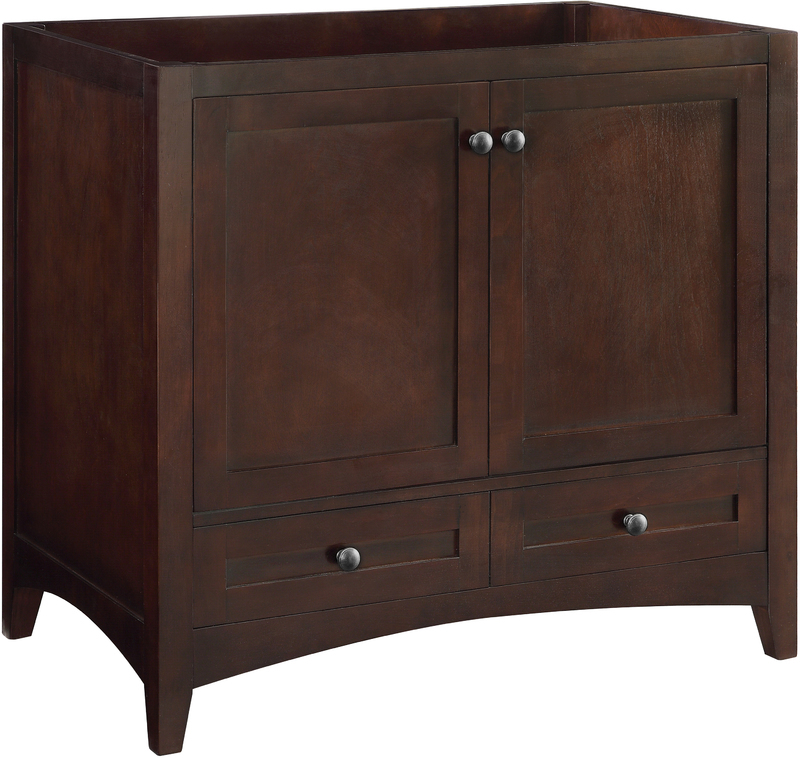 Constructed of 100% hardwood and not particle board, Water Creation prides itself on creating high-class vanities that are designed to last a lifetime. 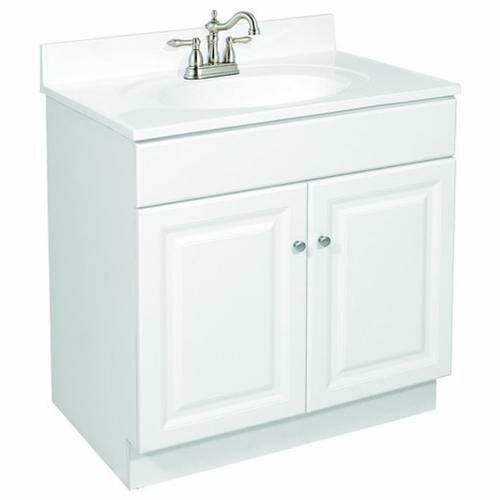 The marble countertop, ceramic sinks, and elegantly crafted doors and drawers all lend credence to the durability and superior craftsmanship that Water Creation is known for. 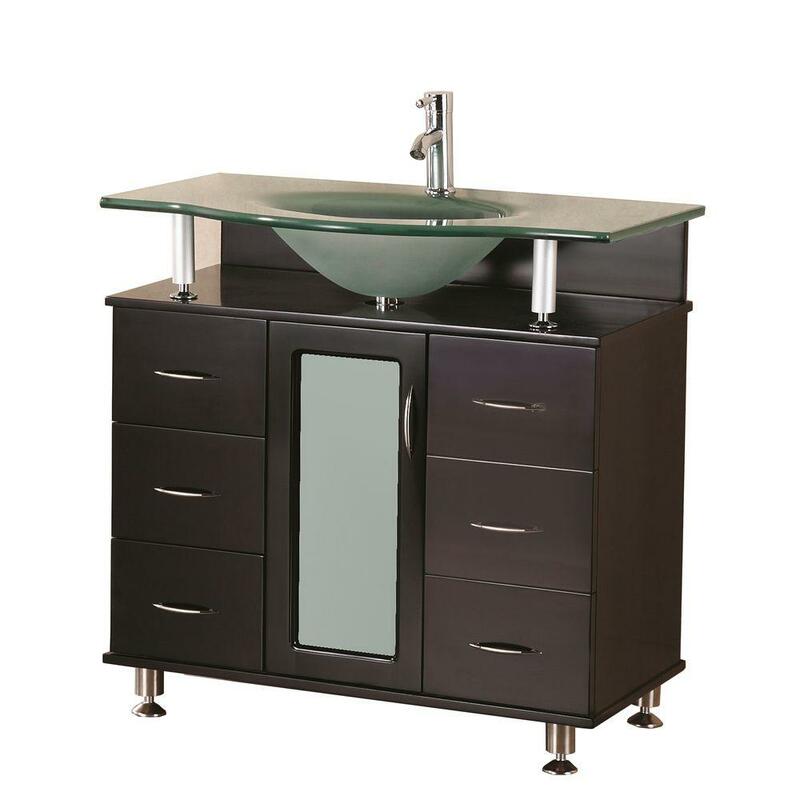 With the understanding that no one space is alike, all of Water Creation's vanity designs come in multiple lengths to accommodate any room size. 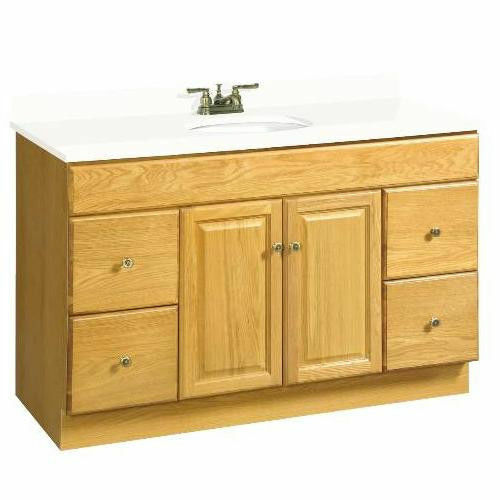 Countertop: All of Water Creation's vanities come with solid natural stone countertops that have been sealed at the factory to prevent staining and watermarks. Countertops are pre-drilled for a standard 8" widespread 3 hole lavatory faucet. Backsplash is included. Assembly of the backsplash to the vanity is required. 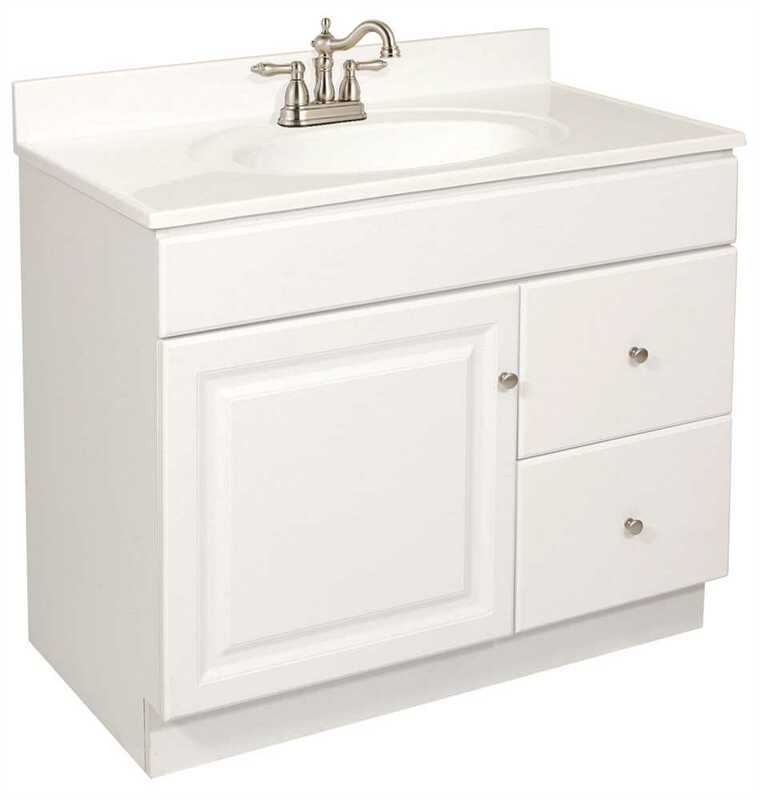 Sink: Two undermount rectangular shaped ceramic sinks included. 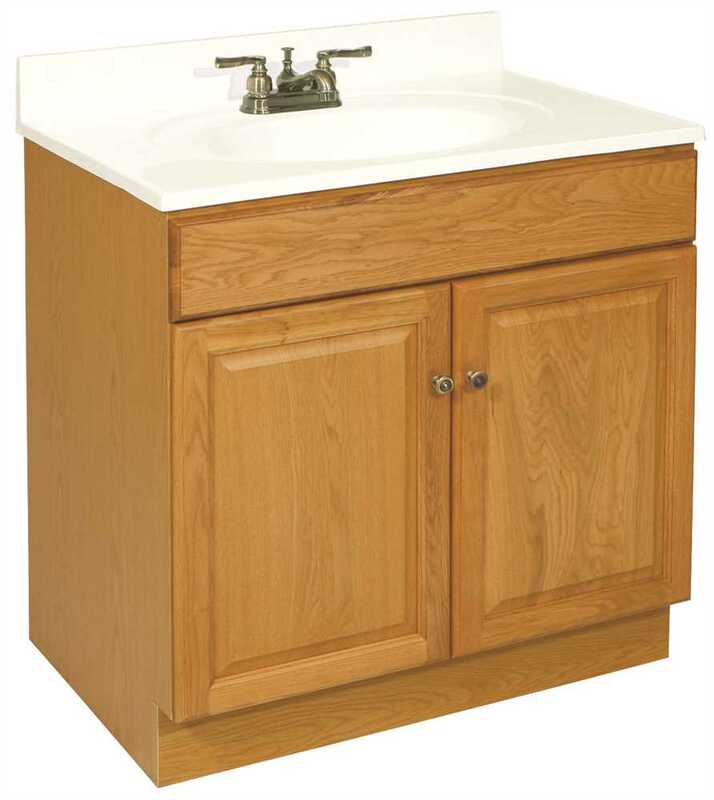 The Stanton 48" Drop-In Sink Vanity is elegantly constructed of solid oak wood. 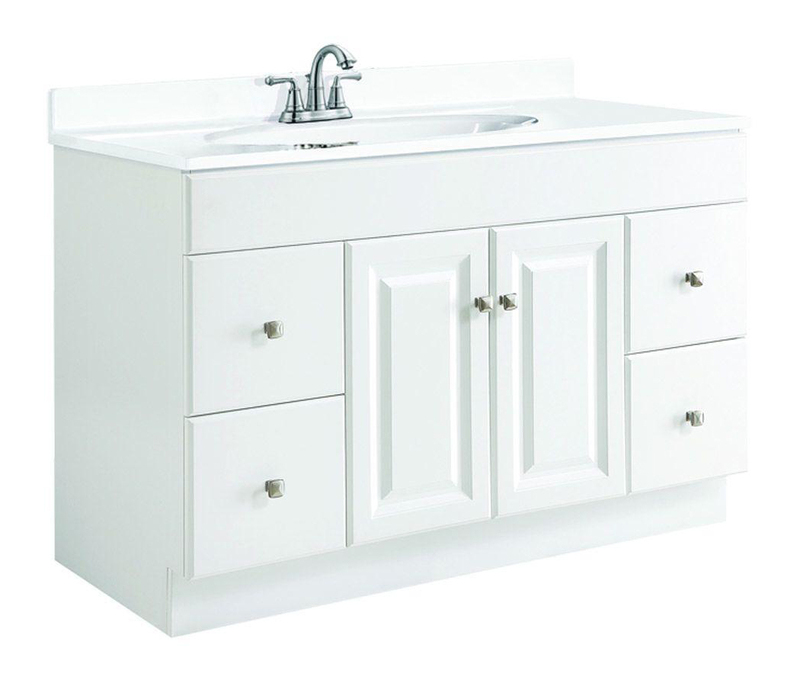 The integrated porcelain counter top and seamless drop in design bring a crisp and contemporary look to any bathroom. 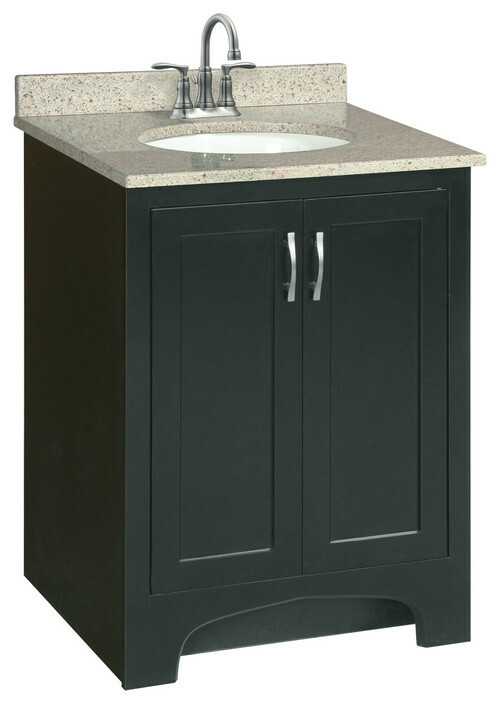 The integrated rectangular drop in sink beautifully showcases the rich features of the espresso cabinetry. 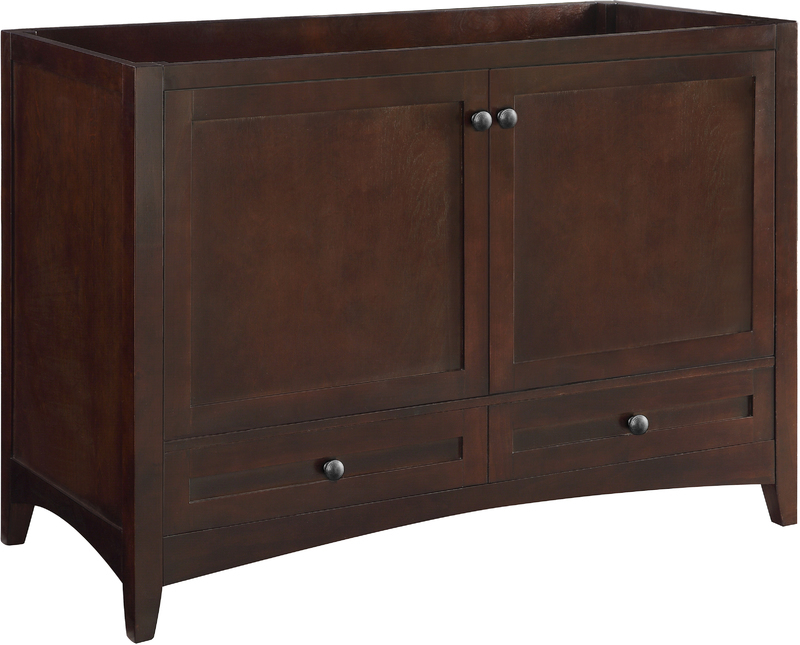 This stylish design includes seven drawers and soft closing double door cabinet all adorned with satin nickel hardware. 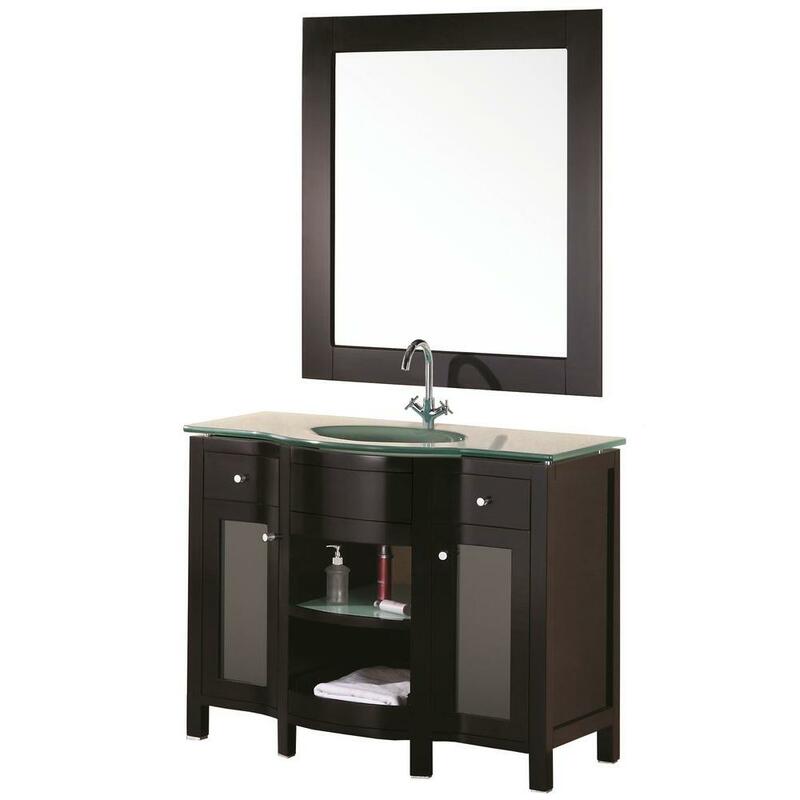 Included is a large espresso framed mirror. 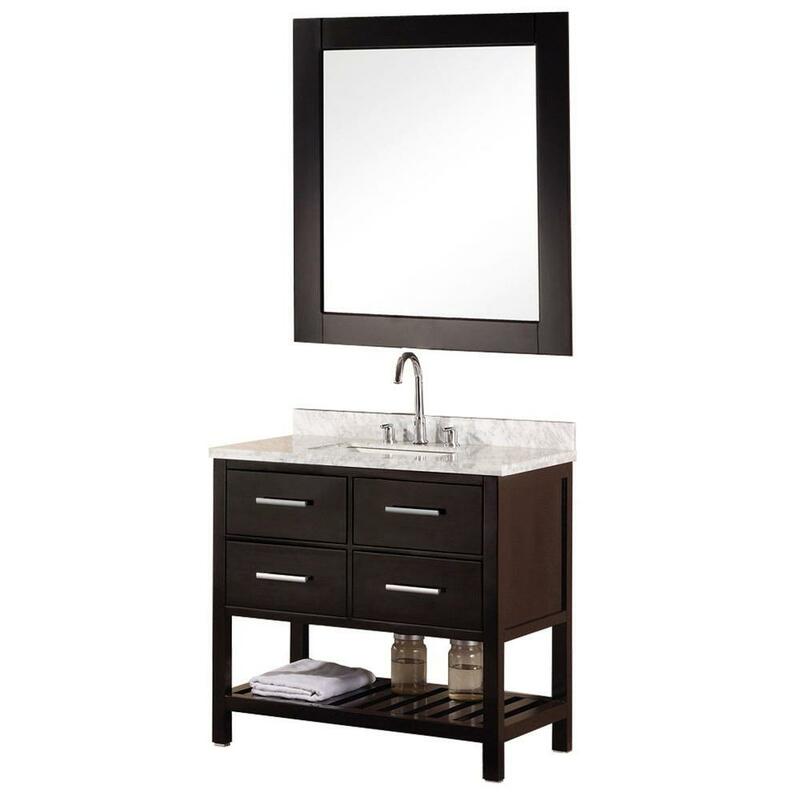 The Stanton Bathroom Vanity is designed as a center piece to awe-inspire the eye without sacrificing quality, functionality or durability. 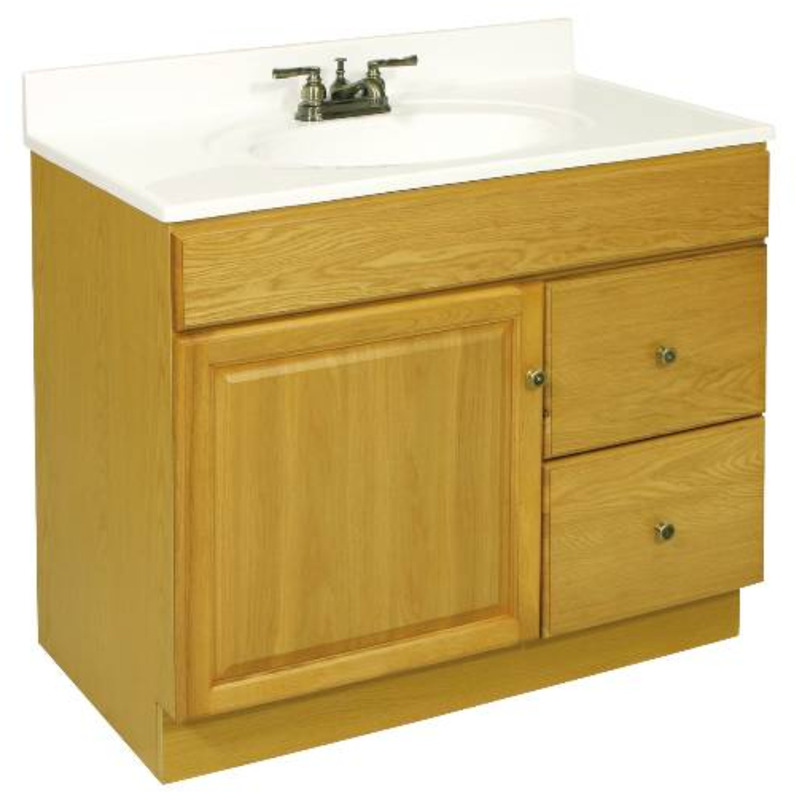 The Stanton 48" Vessel Sink Vanity is elegantly constructed of solid oak wood. 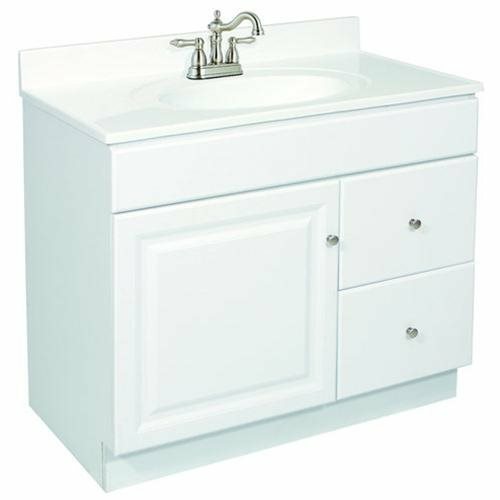 The white composite stone counter top and rectangular vessel sink design bring a crisp and contemporary look to any bathroom. 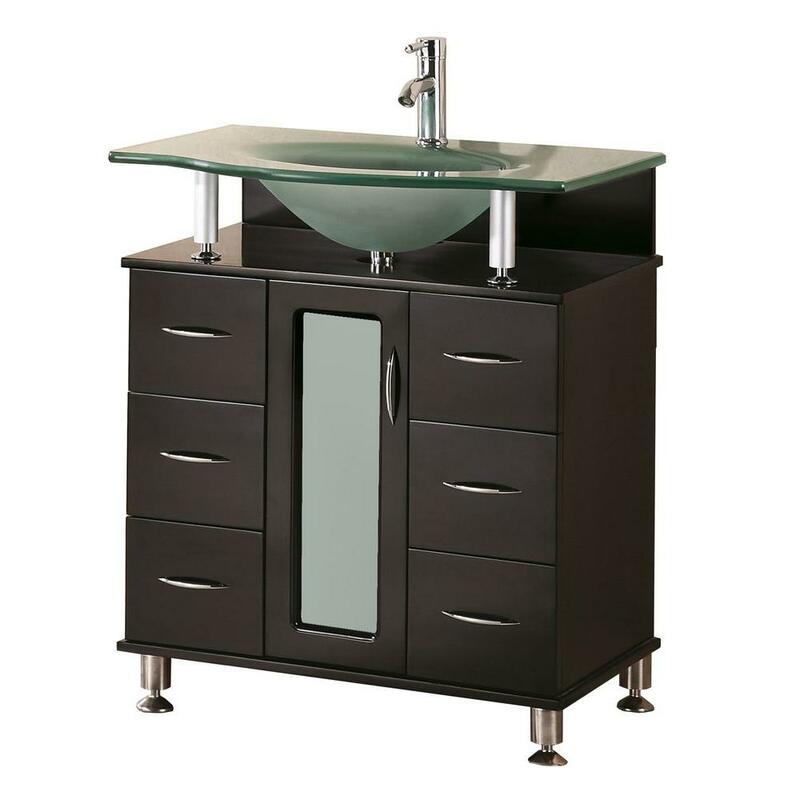 The designer vessel sinks soft corners beautifully contrast with the rich features of the espresso cabinetry. 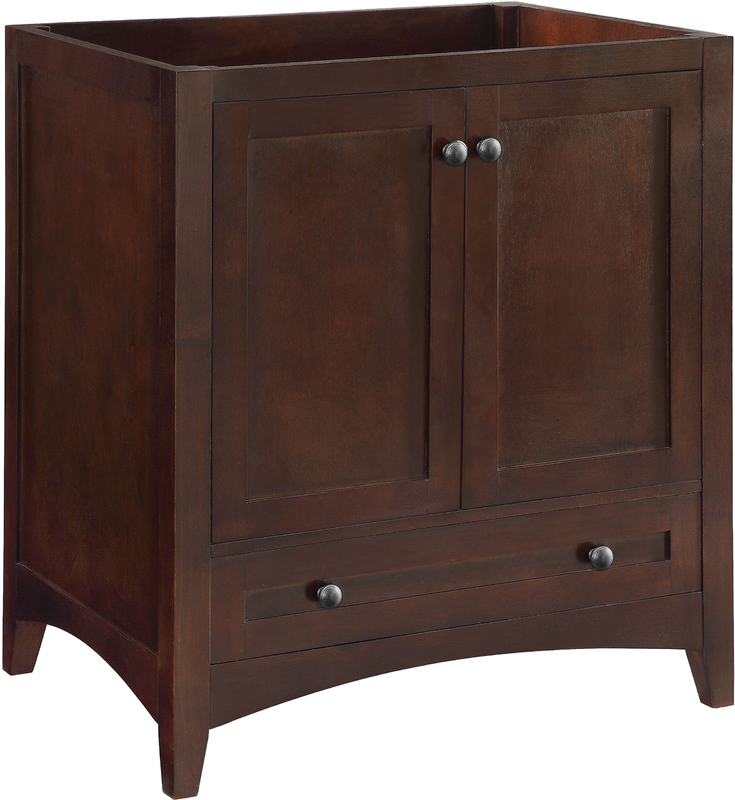 This stylish design includes four drawers and soft closing double door cabinet all adorned with satin nickel hardware. Included is an espresso framed mirror. 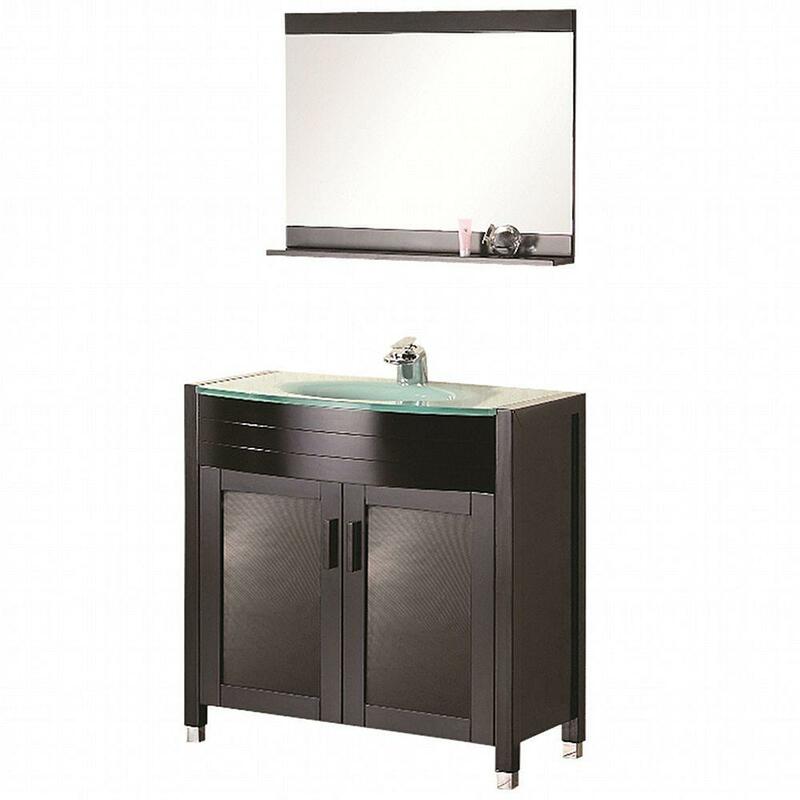 The Stanton Bathroom Vanity is designed as a center piece to awe-inspire the eye without sacrificing quality, functionality or durability. 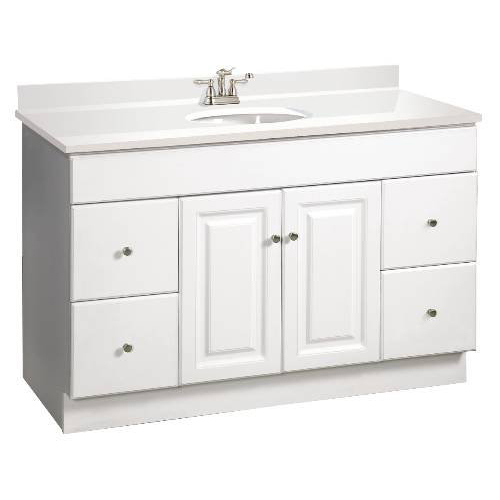 The Portland 61" Double Vanity Set is elegantly constructed of solid oak wood. 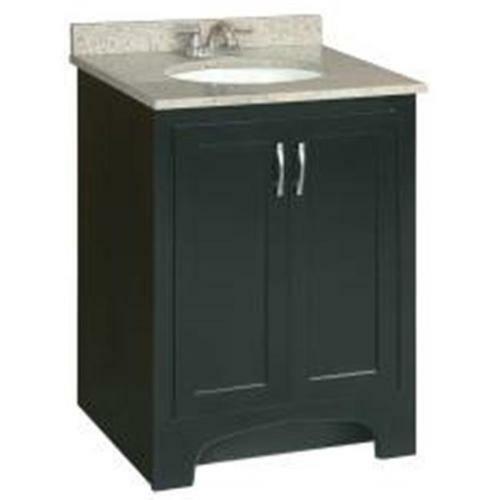 The ceramic sinks and marble counter top bring a contemporary and elegant look to any bathroom. Seated at the base of the designer square sinks are chrome finished pop up drains designed for easy one touch draining. Two matching espresso framed mirrors with joining shelves are included. 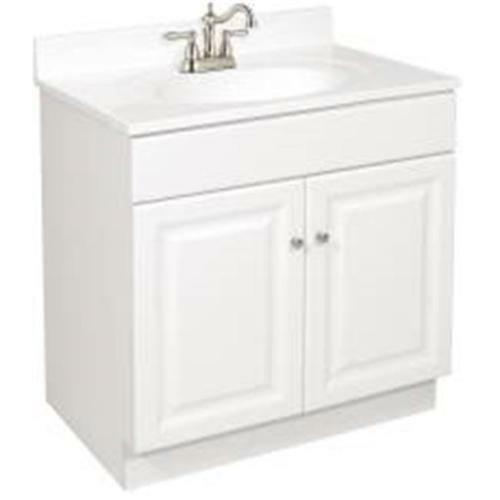 Positioned under each ceramic sink are two soft closing double door cabinets. 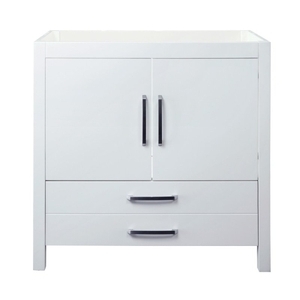 Built into the center are three drawers adorned with satin nickel hardware. 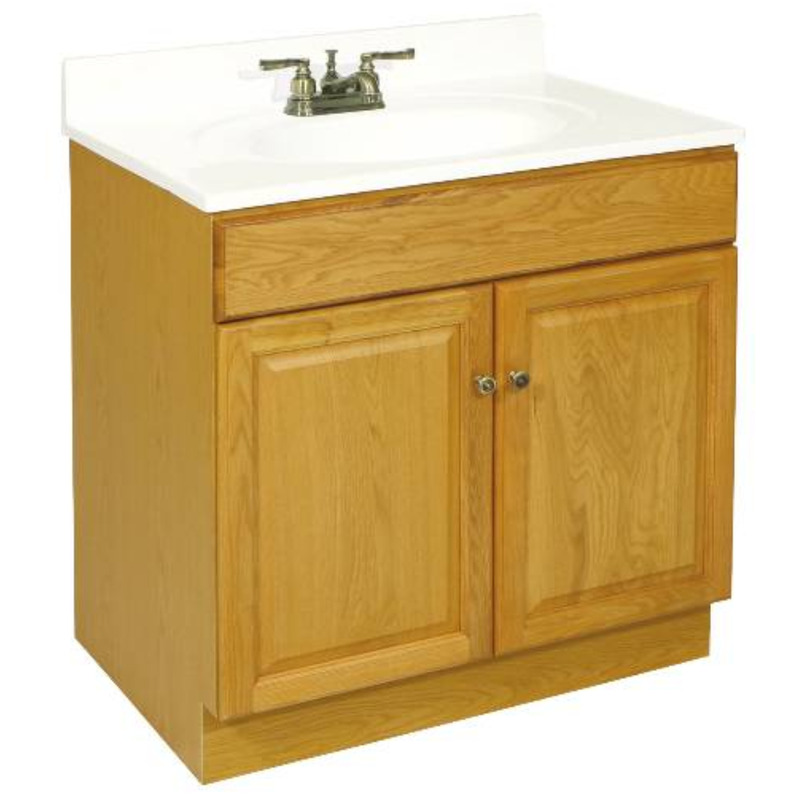 Our Linen Cabinet models feature the same solid oak construction and thoughtful, practical designs of our vanity sets. The CAB002 is our open-frame model with tempered glass shelves and espresso-finished cabinetry, accented with satin-nickel hardware.